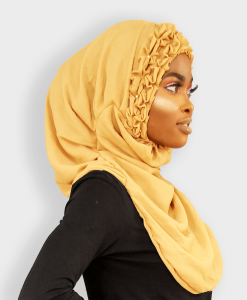 Habeebat features a unique collection of hijab styles including Jilbab,instant hijab, square hijab & more. 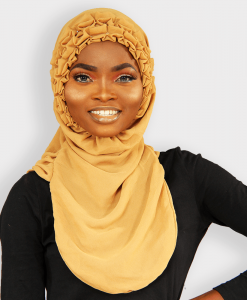 Great deals on Women’s hijab. Safe shopping. 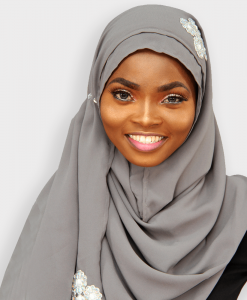 Hijab means cover, wrap, curtain, veil, screen or partition. In the Quran used to denote notions of separation, protection and covering. 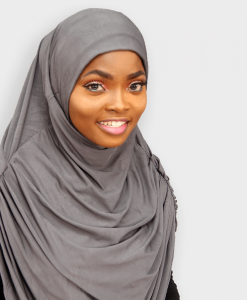 Over the years, the word evolved in meaning and is now refer to as a Muslim woman's veil. 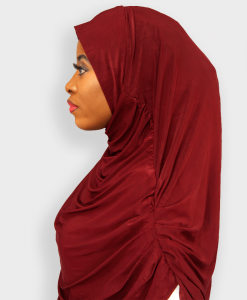 In English, the hijab is attributed to the Islamic head covering for women and its underlying religious precepts. 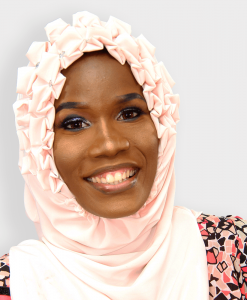 The hijab is one of the most noticeable and often misunderstood percept of a Muslim woman. 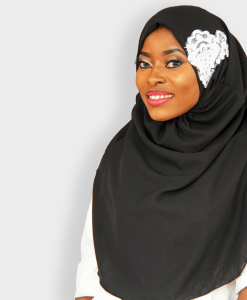 For a muslimah, there is more to the hijab that just a piece of Islamic Clothing. It’s a behaviour and demeanor. 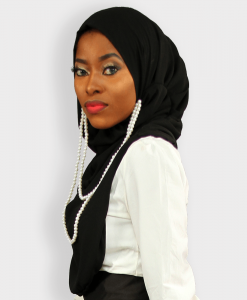 Although for some, the hijab simple means a fashion statement; more like pairing the hijab with modern clothing styles. 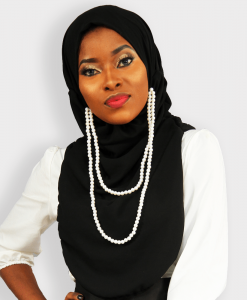 The hijab comes in various types and styles which accounts for the difference in names. Below are a few. 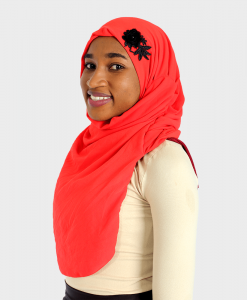 Al Amira Hijab: This is the easiest to wear from all hijabs, it comes in two designs, one piece and 2 piece. 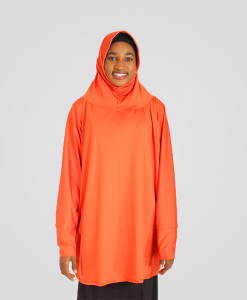 The first is a single pullover piece that covers the head, neck, upper chest and back area. 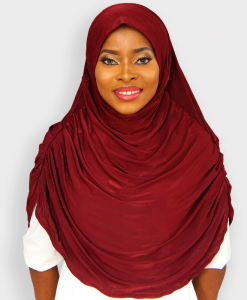 The later consist of an underscarf and a pull over piece that covers the same as the one piece. 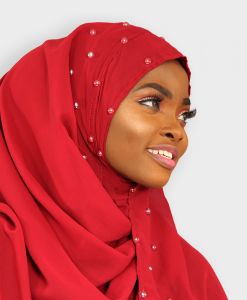 This type is the most popular among muslim women. 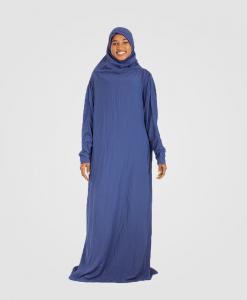 It is also the preferred choice for hijab beginners or kids learning to wear the hijab. 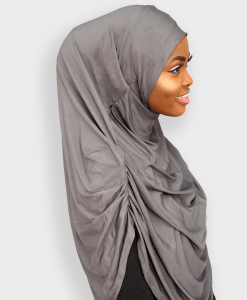 The Al Amira hijab stays in place without a pin; this makes it a sport hijab. 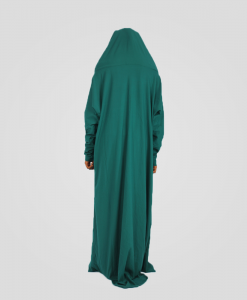 Kuwaiti Hijab: This is a ready to wear hijab. 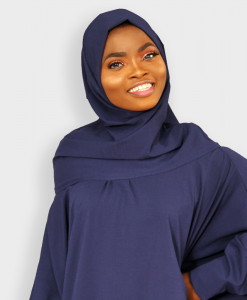 It comes with a rectangle hijab and a bonnet The kuwaiti consists The bonnet keeps the head covered and the hijab secure. 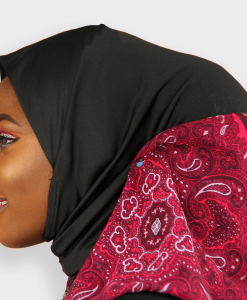 The rectangle hijab allows you to add your personal style to your hijab. 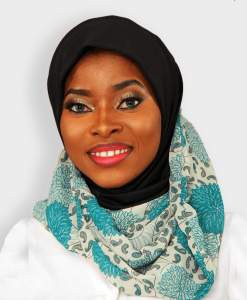 After wearing the bonnet, the hijab trails off to your chin and allows you play with different styles and wrap your head however you want. 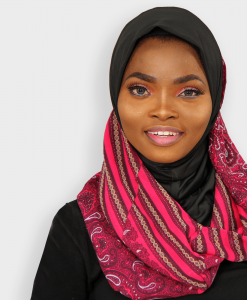 Square Hijab: This hijab can be seen in plain, print or decorative designs and it usually square shaped, and reduces the bulk around the neck. 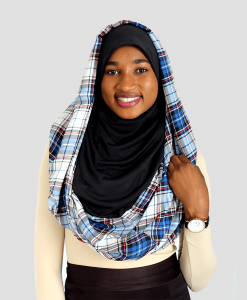 Unlike the rectangle hijab which provides full head covering, the square hijab provides less coverage. 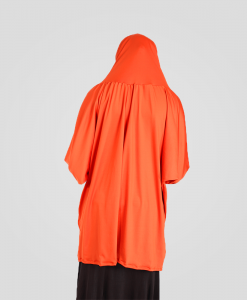 It is however a perfect choice to pair with an Abaya or Jilbab. 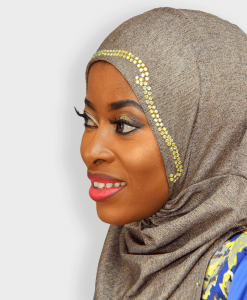 The Square hijabs are usually decorated with beads and sequins at one side of the hijab. 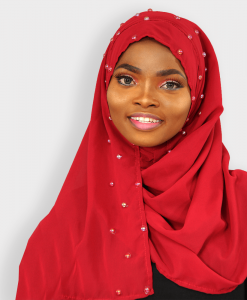 When it comes to washing your hijab, avoid using a washing machine, preferably, handwash your hijab. 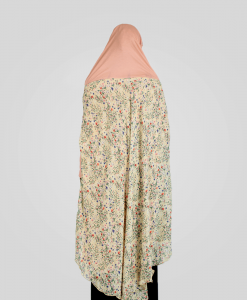 If you must use a machine, palace your hijab inbetween a pillow case. 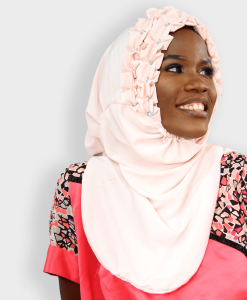 Separate light and dark colour hijabs and wash separately. Use cold water to wash. 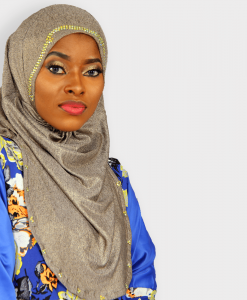 Apply little amount of detergent when washing your hijab. 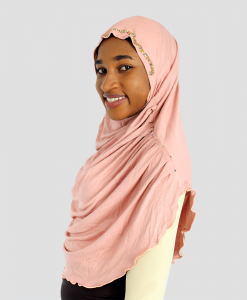 When washing avoid wringing your hijab, gently squeeze out water to avoid stretching. 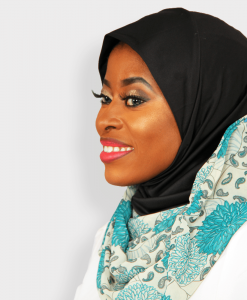 For silk hijab, spread it on a dry towel and roll up gently without wringing. 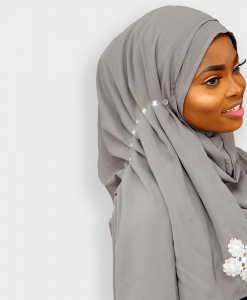 If possible, lay your washed hijab on a flat surface to dry as opposed to hanging it on poles or hangers so that you can keep the shape in place. 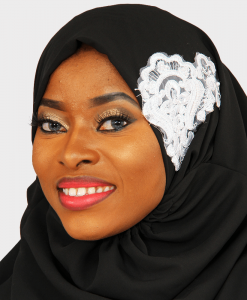 Use low heat iron to press your hijab and iron in reverse side. 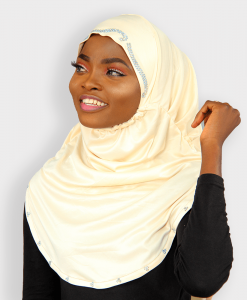 For silk hijab, iron hen damp.